Ancient fire ritual was staged to begin the Festivities of Cusco and the Inti Raymi. 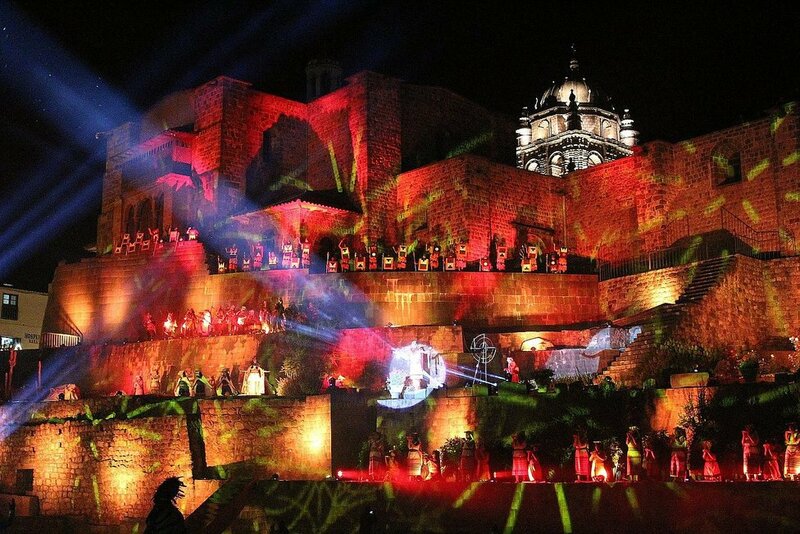 More than 200 actors on stage gave life to the ancient Inca ritual called ‘Willqa Nina’ on Explanade of Qorikancha, to officially begin with the Feasts of Cusco 2016. 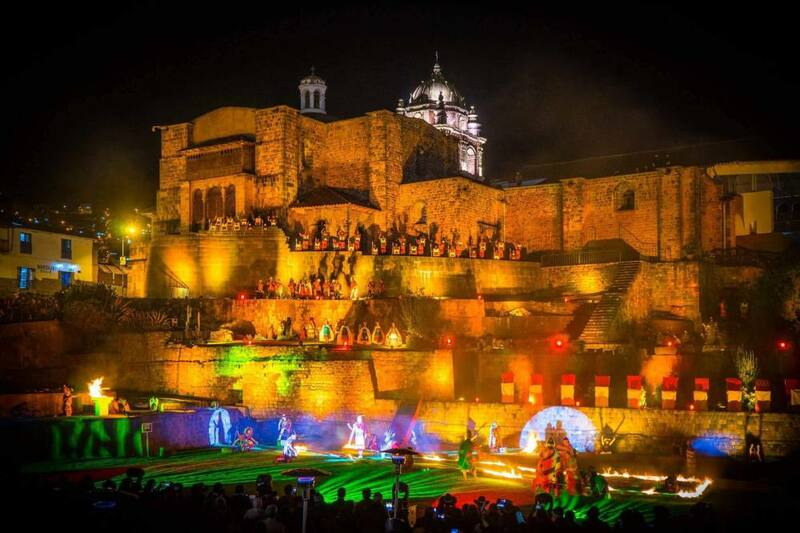 Guided by the Inca, played by Cusquenian player Nivardo Carrillo, musicians, priests and Inca warriors danced a ritual fire, whereby they asked the gods and apus (guardians) tutelary of Cusco, your permission, to begin honror festivities at the Imperial City. The Inti Raymi festival in Peru is a feast of the Sun God and Patchamama (Mother Earth), the main Gods of the Inca civilization. These Gods were considered to be the creators of all that exists. They rule over the destinys of mankind and the universe! The Qorikancha: In Inca times was the main temple dedicated to the sun. The Plaza de Armas (the old Auqaypata or Plaza del Guerrero ): During Inca times, this vast square was fully developed ceremony in the great ushnu or ceremonial platform. Saqsaywaman (voice derives from the Quechua “saqsay” and “wama ” that translate to Spanish means “sacíate Halcon”). This impressive archaeological site is 3,555 m.s.n.m., one kilometer Inca Qolqanpata neighborhood.